SiteCloud Review: SiteCloud provides high quality cloud VPS hosting complete with a website builder and templates to help you design and create your website. If you are transferring a site from another host SiteCloud will also provide you with free site migration. For new customers SiteCloud will include a free domain name (using your free eNom credit). SiteCloud's hosting technology includes load-balanced architecture, no hassle upgrades and downgrades, and no excessive resource usage fees. Use up to 1,000 compute cycles (see their site for more detail) for free, and small charge for cycles used thereafter. WIth cloud VPS (Virtual Private Server) hosting, it is like having your own mini dedicated server. All of your resources are for your website only, not a shared amount that is used by all websites on the server. SiteCloud stands behind their cloud VPS hosting products 100% by providing a North American sales and support toll free phone, or live chat, which is available 24/7 to answer your questions. They also guarantee a 99.9% uptime, which is as good as they come - face it, nobody's perfect. If you are not happy with your SiteCloud VPS web hosting package you may take them up on their 30 day money back guarantee. By hosting your website with SiteCloud you can feel good about doing your part to protect our environment, as SiteCloud participates in a number of programs to ensure they are providing a green hosting solution for their customers. They are 100% carbon neutral, wind powered, and have certified REC's. Statement From SiteCloud: SiteCloud is one of the most trusted cloud hosting providers worldwide. We host our customers on a Load-Balanced Cloud Architecture, through web applications that allow us to offer scalable cPanel web hosting. 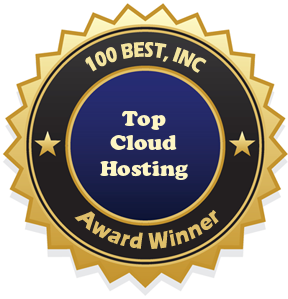 We are confident you will find SiteCloud to be the best cPanel hosting company around.